This is considered our strongest and most effective cream yet. The organic menthol crystals combined with medicated emu oil delivers the medication deep and straight where you need it for almost instant pain relief with only a small dime size amount. 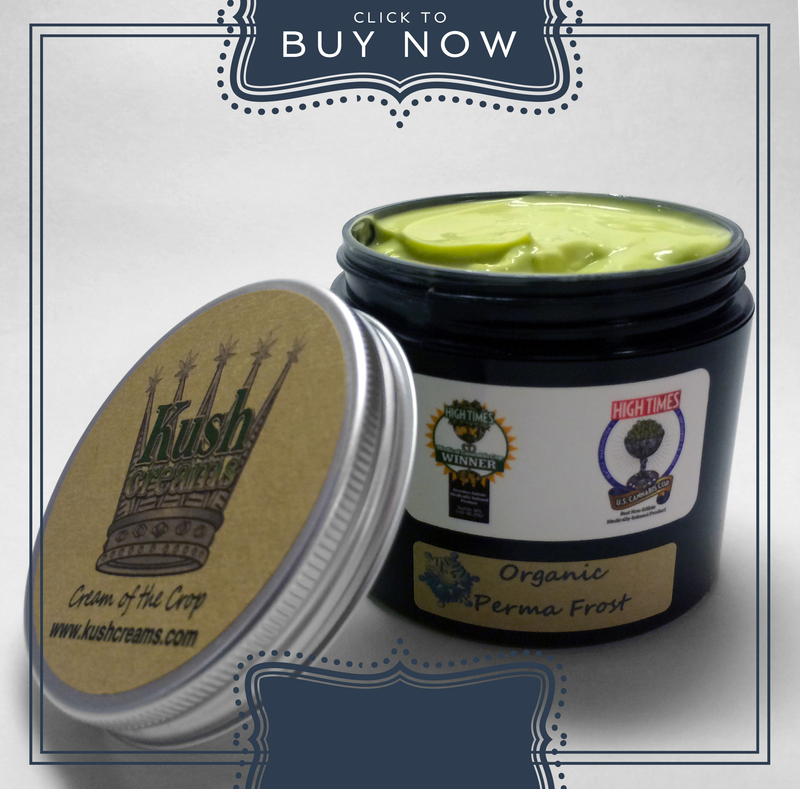 Due to the icy effect this cream produces it is not suggested for use on sensitive skin, rashes, and open wounds. This cream is also very effective for migraines. I was given this cream as a gift and waited about a month to use it. Well never again, I suffer from arthritis in my elbows, wrist and neck due to a accident. I’ve done injection, nerve ablations and lots of different pain killers. Everything had one nasty side affect after another. I didn’t notice much difference at first. then after the 3-4 days I noticed I could move and use my arms with a little less pain. I just started my second week using the cream so hoping for even better results as we go. This stuff is wonderful…I have used it for low back pain, sore neck and shoulders, migraine by rubbing up the back of my neck and into my scalp, knee pain, sore hands, etc. Much more effective than other menthol but non MJ based creams, and way less burn for those of us with sensitive skin – less noticeable smell, too. I’m hooked, and strongly recommend! I have fibromyalgia and it makes my legs quite painful especially at night and I can’t sleep. This creme makes the pain almost disappear and relaxes me to easily fall asleep. The men in my family use it on their shoulders and backs after a long day of physical work. We love this product!! I broke my shoulder four years ago, and every once in a while it still hurts really badly. It injures easily, it responds poorly to damp weather, all of it. My coworker suggested I try Permafrost. It’s AMAZING. Absolutely removes all pain, makes my shoulder nice and supple and it feels great! Thank you so much for freeing me from a really dreary routine of vicodin and ibuprofen. I have RA, Fibromyalgia and degenerative disc disease leaving me bone on bone in my lower back. I have been on narcotic pain killers for 10 years which don’t touch nerve pain. I first used this product at my sisters and was AMAZED! I was actually able to sleep through the night vertically pain free! I bought some for myself and highly recommend it for anyone with chronic pain. Bought it and brought it home, no expecting much – my legs and feet feel like they used to before I was disabled! Gave it to my neighbor with menstrual cramps – gone – two more friends and they’re amazed as well. It’s not just me – this stuff really works and it works VERY WELL! I originally bought some KC to have on hand for burns, and I actually treated a fire spinning friend’s arm burn very impressively. But in early 2012, I came down with shingles, five days before diagnosed, so the pain and the rash were pretty strong. Shingles hives, even when healed, leave pock marks and scars. Knowing this, and having been impressed with how KC helped with burns, I treated the affected area about 4-6 times. When I returned to my doctor about ten days after the first KC treatment, I was able to show him that there were only very light pink spots where the rash was, and the area looked healthy and healing. By the next visit, there was absolutely No sign that anything had ever happened. NOTHING. Absolute normal. I truly believe that there is nothing KC can’t make better! Every home should have a jar of this stuff for burns, scrapes, rashes, everything! I have had 3 spine surgeries over last couple of years and I use the Permafrost for the last couple of years for pain at night. It helps me get to sleep giving me 2-3 hours of pain relief which helps me fall asleep. I use to write for a cannabis magazine and have personally used and written a review of the 5 most popular Topicals available at the time to patients. Permafrost is my go to and IMHO is the best is the class. This stuff is amazing I love it! No other medicated creams compare it is the one and only. These reviews are no lie. This is some powerful, almost instant, pain reliever. I use it for my sciatic pain. I get super annoying pain in either my left or right lower back/upper buttocks area that is really hard to relieve. I can rub a small amount of the Organic Permafrost and, this is no joke, the pain is gone within 90 seconds. Best topical pain reliever ever! Thank you so much!! i have de quervain’s tenosynovitis in my left hand and the pain at times could send me through the roof if i used it wrong. Products like Aleve, Bengay, Icy hot, advil, etc. didn’t do anything for me and all the doctors have told me to do is use a brace and get injections for the pain. It took me a while to really open up to using anything cannabis based, but i am so glad that i did. This has given me back the use of my hand and relaxes me enough me to sleep at night. That in itself is huge. I recommend this for everyone who needs pain relief. I will be a repeat customer. Can’t wait to try your other products. I mentioned minor neck pain at the store and the sales person grabbed this cream and had me try it. It was INSTANT relief! So much relief that I felt other pains on my body that I ignored for the past 20 years. It is the only thing that helps with her pain. Thank you for such a wonderful product!!! wife had broken back using 60 meg of morphine aday after operation put it on ONE NIGHT next morning ask her if she need a pill yet, she said it feel less pain. Has not taken morphine for 6 weeks. Using for my 6+ years neck and shoulder pain.Gives me relief for about 4-5 hrs and makes falling asleep easier. I have stenosis of my lower back an just had both hips replaced. A friend brought this cream to me to get me off of the pain killers .well it has great effects of talking through pain away an easing your body into relaxing an resting. I will recommend this product to anyone with chronic pain. I’ve had a host of surgeries. More specifically, two on one of my knees. The permafrost absolutely helps when my knee is inflamed. Pain is reduced entirely. Wonderful product. Thank you for what you do. I have arthritis in most of my joints and degenerative disc disease in my spine. 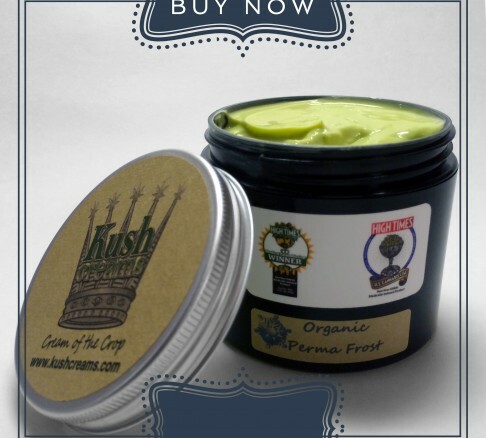 Kush Cream relives my pain so that I can get a decent nights sleep. I have been using this for almost a year. I don’t plan on stopping. I have degenerative disc, arthritis and sciatic nerve pain. I don’t want to take drugs so I tried this cream and was amazed. I could sit without the terrible pain and finally slept for once without waking up in pain. Thank you Kush creams. From an extremely happy customer in VT. If you have a headache, you just dip the tip of your index finger, spread it onto your other index finger and rub your temples. Your headache will disappear. I have chronic migraines and this works miracles for them. I also have scoliosis and being heavy chested makes it a lot worse, so I also use it for my back. It helps tremendously. I couldn’t bend down without either wanting to cry or almost falling over from the pain. With this stuff, I can function normally. My back doesn’t ache or anything and it lasts for hours. You do not have to smoke or ingest the stuff and it works fast. It does not smell like marijuana. It does not get you high. It simply helps alleviate pain. I’ve used this for years and I absolutely love it and highly recommend it! I use it on my back that I broke at T 4&5 years ago. I also use it after I run on sore knees and feet! Works like a charm. I’ve had friends use it for arthritis and after one day tell me how much better they feel! This product is totally worth it! This cream was a life saver! I use it for my neck pain, shoulder pain, Mortons Neuroma, and eczema! Effective on everything! The thing is, I haven’t had success with other treatments on my foot (the Mortons Neuroma and eczema) and within a couple days, I’ve seen a huge improvement with both conditions! It’s insane. Thank you, thank you, thank you. I can’t wait to try more products. My sister in law gave me some of this cream that she had left over and it is hands down the BEST cream on the market. I work on a lobster boat and suffer from neck and back pain so bad that at times I can’t walk after a long days haul. Sense I got this cream my wife rubs it on my neck and lower back first thing in the morning and I have no issues throughout the day I’m able to make a whole day on the ocean and still be the man I want to be. Thank you for the relief of the pain. Not as effective as directly applying CBD Glycerin tinctures BUT, DO NOT turn your nose up at this stuff. It works extremely well compared to many of the topicals and salves I’ve tried and it’s not unreasonably priced. Appreciate you guys making a product that is high quality and works well! I’ll agree it’s probably the BEST cream on the market.